It’s that time of year when a few flurries of snow can quickly turn into a full-blown blizzard. It seems like just yesterday that the blizzard known as “Snowmageddon” took the Chicagoland area by surprise, leaving at least 900 cars and buses stranded on Lake Shore Drive. And although it was 13 years ago now, most of us still remember the blizzard that hit the New England area for five days straight, generating between 15 and 30 inches of snow. It shut down cities from Washington, D.C., to Boston and ultimately caused $20 million in damage. These disasters prove how important it is to be prepared for severe winter weather. Even for less severe snowstorms, it’s imperative to take the necessary precautions to ensure you and your family’s safety this winter. Thus, we’ve put together a list of five ways to prepare for a snowstorm or blizzard. 1. Assemble a survival kit. The American Red Cross recommends including the following items: a 3-day supply of food and water; a First Aid kit; a 7-day supply of medications; a multi-purpose tool; personal hygiene items; important documentation; a cell phone and charger; family and emergency contact information; baby and pet supplies (if you have a baby and/or pet); warm coats, hats, gloves and blankets; alternate heating methods; batteries; and cash. 2. Invest in hand-crank safety devices. When the electricity goes out, you don’t want to depend on your dwindling battery supply to keep you safe. Instead, keeping a hand-crank light and hand-crank radio with your survival kit will ensure that you’ll always have light and up-to-date weather information. Some new hand-crank radios even feature a mobile phone charger and USB port. 3. Get a battery-backup sump pump. Preparing for a blizzard also means preparing for its after-effects. 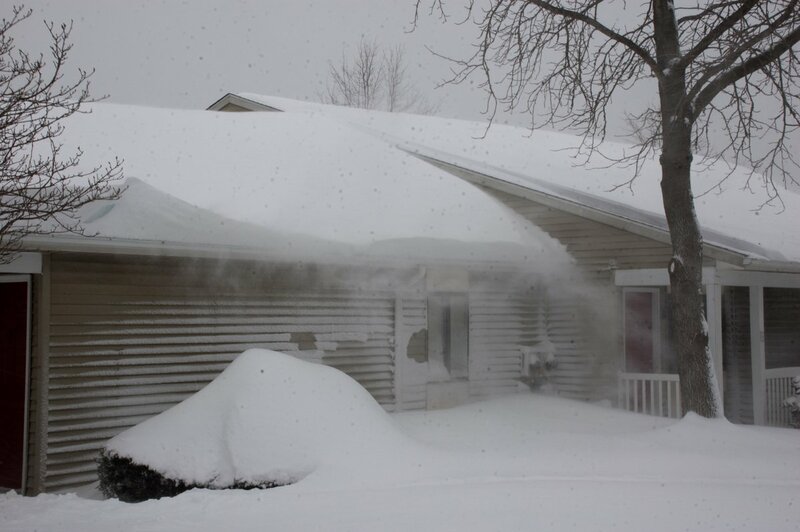 All of that snow that piled up is bound to melt, and if it melts too quickly, it could result in a flooded basement. By installing a battery-backup sump pump, you can rest assured that your basement will stay dry whether you have power or not. 4. 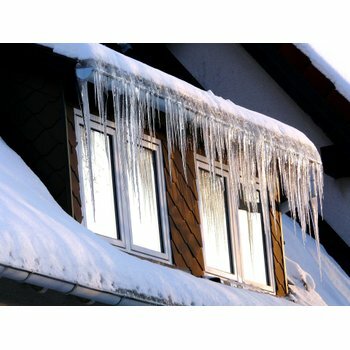 Insulate your home by covering the windows with plastic. To make sure that your home stays warm during the storm, you can use some window film and double-sided tape to insulate your windows. You can also pick up some weatherseal tape in case any branches or flying debris happen to break a window during the storm. The tape can also be used to protect against small areas where outside air is infiltrating the house. There's no need for shovels or snow blowers when you have a snow-melting system in place. 5. Make sure your snow-melting systems are fully installed and in working order. 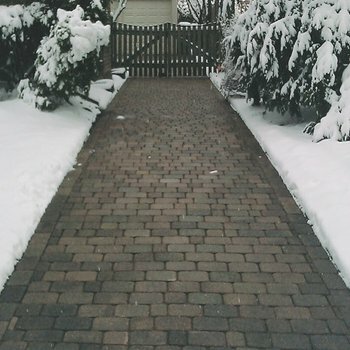 To keep your driveway clear of snow and ice, you should have a snow-melting system installed within your driveway and walkways. By the time you find out about an approaching winter storm, it’s too late to install a snow-melting system. That’s why it’s important to install this system when it’s still warm enough to repave your driveway. The same goes for your roof and gutter deicing system. This system is installed along the roofline and inside the gutter to ensure that snow and ice don’t back up, causing water damage inside your home. The ideal time to have this system installed is in autumn. Once leaves start falling, you can clean your gutters and have this system installed so that it’s ready to melt some snow in the winter. For more information about winter storm preparedness, visit the American Red Cross website. 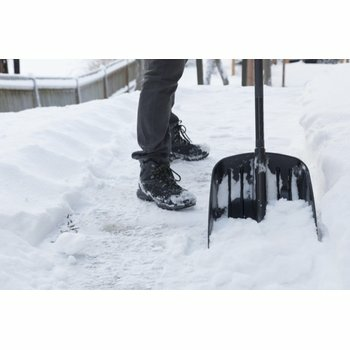 To learn how to install snow-melting systems to prepare your home for next winter, go to www.warmlyyours.com or call 800-875-5285 to speak with an expert.